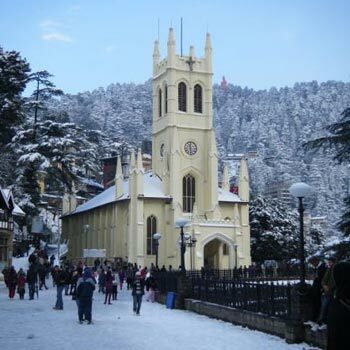 Nestling in the shelter of virgin forests that cover many un-toddle hills, Chail (2226m) is a tiny resort in the Sivalik region of Himachal Pradesh. 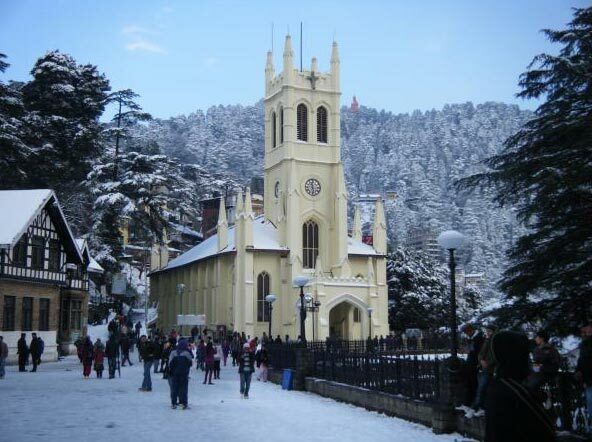 Happily isolated from the rest of Himachal, Chail is a place where time stands still, nature is at her exuberant best and words like pollution and deforestation have never entered the dictionary of people living here. Chail has interesting history. Originally, it was a part of Keonthal State. Then it came under the sway of the Gorkha warrior Amer Singh. Finally, it became a royal resort and summer seat of Maharaja Patiala. Visit Highest Cricket Ground (3 kms) : Built in 1893, after leveling the top of hill, this stands at 2444 m and is the highest cricket pitch in the world. Visit Sidh Baba Temple (3 kms): Maharaja Bhupinder Singh originally began building his Palace at this site. It is said that a Sidh, saintly person appeared before the Maharaja in a dream and declared that this was the place where he had meditated, Bhupinder Singh shifted his Palace and also had this temple built. After breakfast proceed to Peach Blossom-Fagu for over night stay. On way see Rhododendron Flower Tree (State Flower) and lunch at Café Lalit, Kufri. Visit Himlayan National Park, Kufri which has several animals of the area including bears and musk deers. Visit the Mahasu Peak : Rises above Kufri and makes a good hike. The view from the top is magnificent. Fagu is a tiny village that rest astride a mountain saddle along the Hindustan Tibet Road. The location gives it a rare range of views that encompass both its northern and southern valleys and the snow-clad peaks of the Greater Himalaya. In the open patches, the valleys hold tiny hamlets, orchards and neatly terraced fields while the area is covered with forests of Deodar (Himalayan cedar) and spruce. Exhaustively rebuilt as a deluxe resort with all modern comforts, the Hotel Peach Blossom provides a rare opportunity to enjoy nature’s serenity and magnificence. After breakfast proceed to Shimla for dropping.